Dropping temperatures and increasing joy! With Christmas but two weeks away - WOW - and New Year’s Eve coming shortly after, we’re doubled over with excitement! Our weekends are booked and all that’s left is to find the perfect outfits for each occasion. 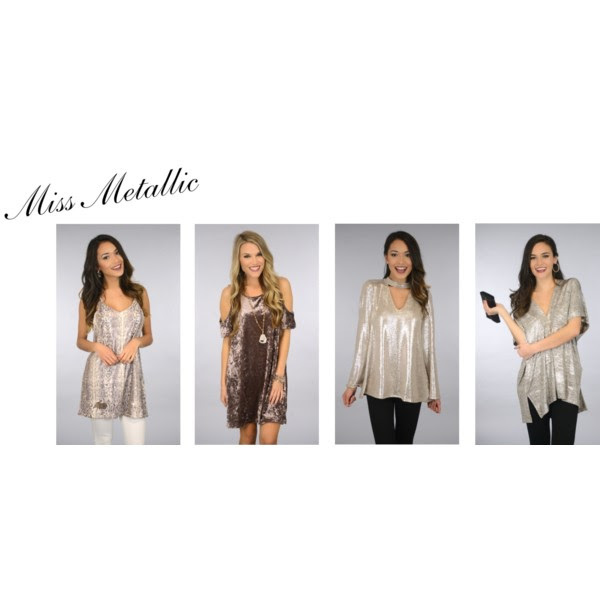 As much as we love our go-to sparkles for holiday soirees and New Year’s Eve, this year we’re leaning towards looks that are a bit more unexpected. With a bold pop of color or a surprising layering piece, you can evoke just the right amount of festiveness. Shop our picks below! 1. These surprising looks are as festive as they are unexpected! A velvet choker here, a jumpsuit there; you’ll have no trouble getting that midnight kiss in these ensembles! 3. Our love for lace refuses to fade! We are especially smitten with the pops of fuchsia in these looks. You’ll stand out in the sea of LBD’s and sparkles for sure. 4. You can’t forget a stylish layer to complete your look and combat the winter chill. With luxe velvet, suede and fur; these toppers couldn’t be any more fabulous!